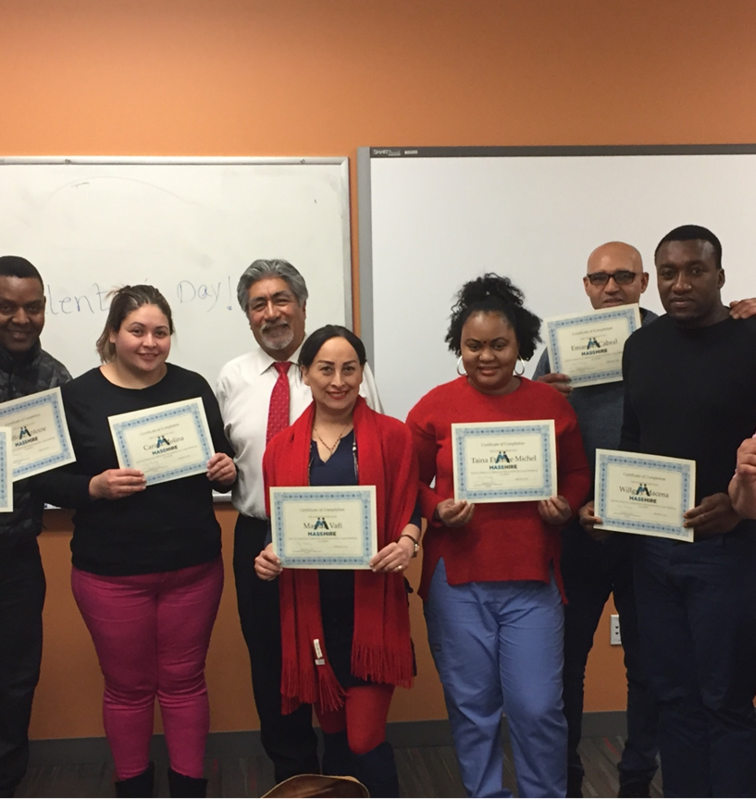 Metro North’s Retail Management Academy has trained over 50 front-line retail workers with foundational skills to prepare them for management pathways with their employers. In partnership with Bunker Hill Community College, the 50-hour program delivers coursework in Retail Mathematics, Accounting, Digital concepts and Business Communication. The 2019 cohort included a basic skills component to support front line retail workers whose first language is not English. Students enrolled in a 45-hour contextualized ESL course (pictured) prior to enrolling in the management training which included a basic skills tutor working side-by-side with the content instructors to support their learning. This program was funded through a generous grant from the Walmart Foundation and the Chicago Cook Workforce Partnership.